As we enter the Olympic year a whole slew of swimmers are in the home stretch of training towards qualifying to represent their country in Brazil this summer. 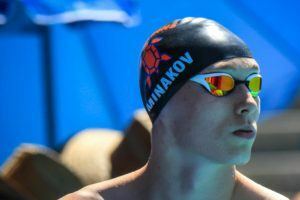 Similarly, two weeks of having swimming in the international spotlight will inspire a fresh generation of young boys and girls to take to the water in order to chase their own Olympic glory in the future. 1. Buy a pair of leak-proof goggles. You will be wearing them for hours on end, so make sure that they are comfortable, leak-proof, and look great on your face. Think of them as your cowl, your mask, your battle paint for war. Stylish, comfortable and practical. And yes, the anti-fog rarely lasts for longer than a couple weeks, so don’t sweat it. 2. Get yourself a bag for your gear. Buy a swim bag that can handle all the various types of swim gear you will need to own. Fins, paddles, pull buoy, goggles, earplugs and caps. Join a swim club at an early age. Display early aptitude for the sport. Work hard, have fun, but maintain a sensible balance so that you don’t burn out like many top age groupers are wont to do. Progress through the groups until you make your first junior national cut. Along the way you have a series of coaches who motivate you in different ways, how challenge you, and expect you to expect more from yourself. You learn along the way that it’s all about getting better. Each day, bit by bit, improving. Leave the comfort of the small pond to compete against the big fish for the first time. Be humbled, realize how much more work there is still to be done. Have parents who are not only supportive of your goals in the pool, but will drive you to practice, console you after a bad meet, and help guide you during the most trying periods of training of your career. And so you continue working at it, narrowing down you focus on your core races, the ones you excel at most. As the training continues to get more and more specialized, you spend more time outside of the pool streamlining your life to support your goalsinside of it. By now you are doing a fair amount of dryland work to compliment the nearly endless number of laps you are doing between the lanes. The best times don’t come so easily at this point. Where before you were dropping seconds at a time, now the window of improvement has narrowed to sometimes just tenths or hundredths of a second, and yet, the amount of work that goes into it continues to escalate. More work for smaller returns. You miss out on more than a few social outings, particularly on the weekends, in order to make sure you are properly rested and ready to rock come Saturday morning. You qualify for your first senior nationals, and compete on the highest stage the sport has to offer in your country. You race against national record holders, Olympians, and world champions. Seeing how they prepare and approach training and racing inspires you to take your training to the next level. You choose your post-secondary institution based on both the academic and training opportunities. Leaving the confines of your age group team you swim with a full squad of athletes your age who share a common goal. When you go to your first Olympic Trials you are nervous, but excited. A lot of work has gone into your swimming so far. You come up short in making the team in your best event by just a couple tenths of a second. Discouraged, you return home debating leaving the sport entirely, whether you can handle another four years of training, sacrifice. After a week away from the water you realize how much you miss it, and how much you would regret not giving it everything you had. And so you commit to another four years. Sustain numerous shoulder injuries, sprained fingers, and more muscle soreness than you can begin to remember. In your quest to not only make the team next time, but to win gold, you leave no stone unturned. You break down your race and swimming looking for millimeters of improvement. Start, turns, technique—nothing is left to chance. You take a year off from school and work to completely and utterly focus on your training. In the weeks prior to Trials you post times in practice that are nearly super-human. At Trials you outpace the competition to qualify for the team. On the biggest stage you stand up on the blocks, look down the lane, confidant that you have done the work, made the necessary sacrifices, and are ready to unleash the fastest swimming of your life. As you dive into the water on your way to Olympic gold, on your way to achieve your “overnight” success, you can inwardly smile knowing that you did everything you could to make this moment happen. So there it is, a super simple and straightforward 3-step plan to becoming an Olympic champion! 1. Make Olympic Trials for your country. If this were all it took I would be preparing for my second Olympics right now and not reading this article. HI there!! Nice article. Just what I needed. But may i ask u a question? 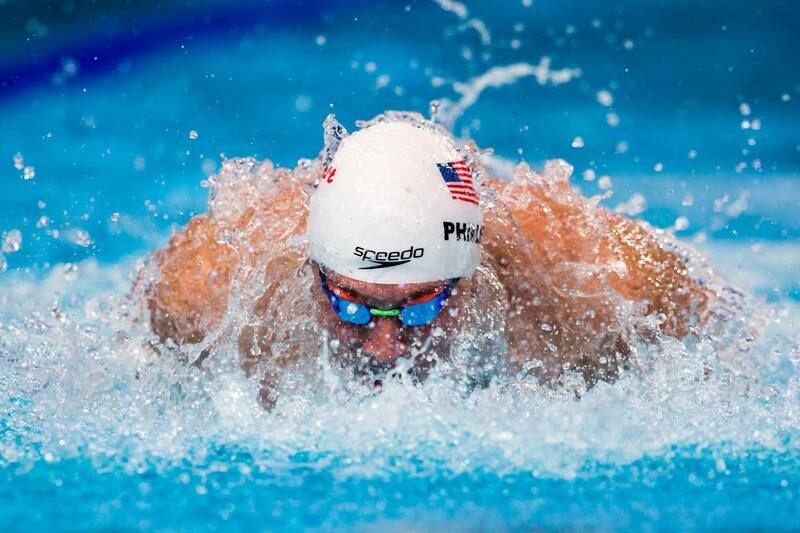 I always had the burning desire to be a olympic swimming champ and used to dream about it since childhood. However due to many reasons i cudnt learn swimming from the early age such as, STUDIES, JOBS, SEVERAL FAMILY ISSUES ETC. Now Im 26. My question is, Can I learn swimming at this age, work hard, make progress, and look forward to become a olympic swimming champ. Is it possible for me to fulfill my dream at this point of my life? or My dream will just stay as a dream forever? Any advice, suggestions will be really appreciated. Thank you. You 100% can still make the team!! Trust me age doesn’t matter. If you put in the work and turn out good times then there’s no doubt you can still achieve your dream. Honestly, I am not sure if you wine able to pull it off. I’m only 12 but I think it may be too late to join a team. Some of the Australian swimmers are ages like 15, I don’t think Olympics would be easy. That is just my opinion though. But if you really want something you have to fight extremely hard for it.